Bring coding, electronics and design to life with Invent! - use the different blocks to create inventions, learn coding and make all sorts of fun projects! 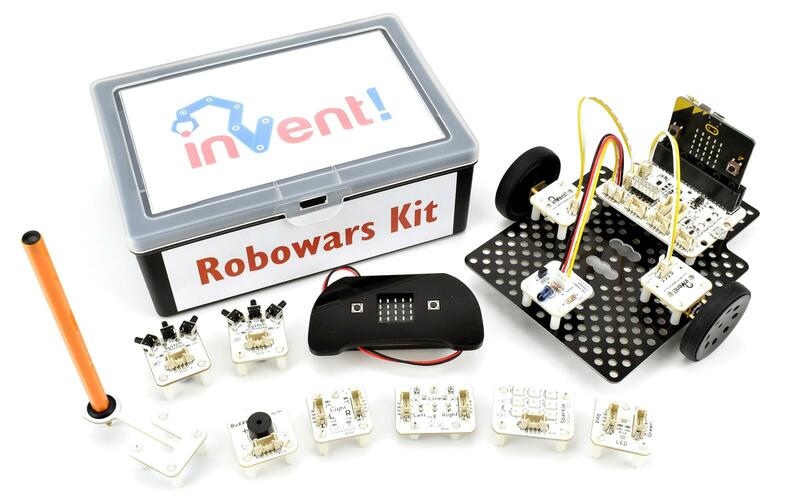 The Robowars kit includes everything in the Explorer Kit, parts to remote control your designs with a second micro:bit (included), and an infrared cannon block - perfect for making battling robots! Please see the delivery information page for details on delivery methods and times.